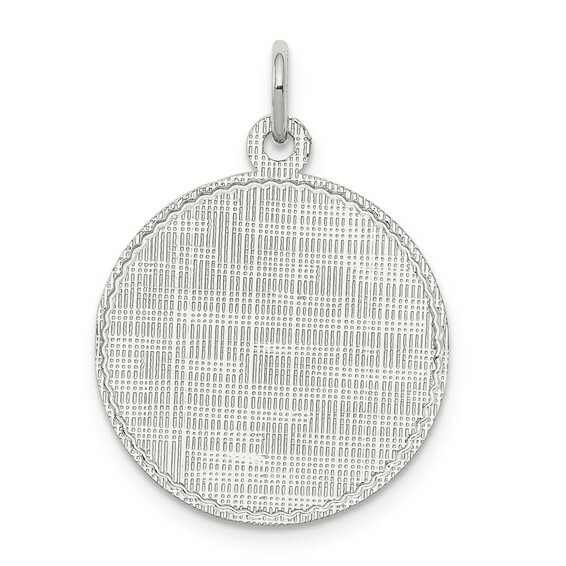 Sterling Silver Engravable Round Patterned Disc Charm. Engravable on back of pendant only. Weight:1.37 grams. .018 inches thick. Measures 11/16 inch tall by 11/16 inch wide without bail.